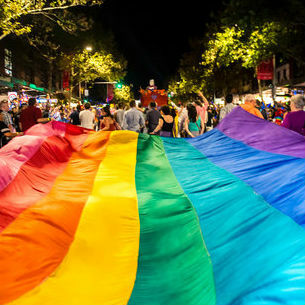 Mardi Gras is coming to Sydney for the 39th year! This spectacular event brings people from all around the world for a celebration of the LGBTQI community! The main event – the Mardi Gras Parade is on the 4th of March from 7 PM and is a must see, full of glitz and glam! While in Sydney enjoying all of the fun and parties, get down to Bondi Beach for a refreshing swim or surf! We supply boards for hire and lessons for all abilities. If in town for Mardi Gras and keen to learn to surf we are offering $20 off our Adult Group lessons! These lessons are a great way to learn the basics of surfing and then you get to tell your friends that you learnt to surf on world-famous Bondi Beach! !